If your creditors are threatening to sue over unpaid debt, you might be considering bankruptcy protection. Chapter 7 bankruptcy, also known as liquidation bankruptcy, is designed for people who can't pay their debts and don't have substantial assets. 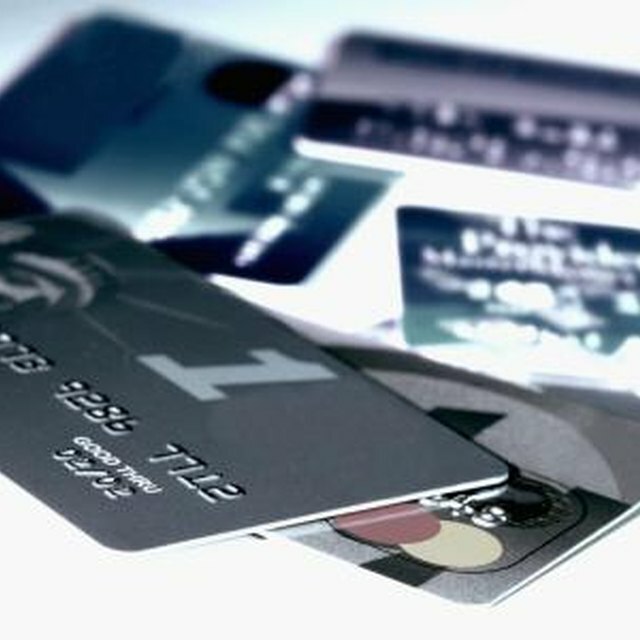 Filing bankruptcy can help you to get out of debt, but it does significantly impact your credit. Before you file, it's helpful to know how a Chapter 7 bankruptcy can affect your credit, and for how long. Chapter 7 allows you to eliminate any amount of unsecured debt, including credit cards, medical bills and personal loans. When you file, the courts notify your creditors that you're seeking bankruptcy protection, which means they can no longer try to collect the debt. You'll have to attend a meeting of creditors to verify the information included in your bankruptcy petition. The meeting is presided over by the bankruptcy trustee assigned to your case but your creditors have the option of attending. Once the bankruptcy trustee reviews your case, he'll make a recommendation to the bankruptcy court for discharge. Once your case is discharged, you're no longer liable for the debts included in the filing. It's no secret that filing bankruptcy is damaging to your credit. Generally, filing a Chapter 7 petition can cause your score to drop as much as 200 points. If you already had a low credit score before you filed, the impact of the bankruptcy might not be as bad. On the other hand, if your accounts were current and you had a good credit score, filing bankruptcy can cause it to take a serious nosedive. Once the Chapter 7 discharge is reported to the credit bureaus, it can stay on your credit for 10 years. After you complete a Chapter 7 bankruptcy, you'll likely find it extremely difficult to get approved for new loans or lines of credit. It can take anywhere from six to 18 months for your score to get back to a level that will allow you to qualify for new credit. If you're looking to buy a home, it may take two to three years before you're eligible for a mortgage loan. If you're trying to improve your credit after bankruptcy, Bankrate.com recommends starting off with a secured credit card. You have to put up a cash deposit to qualify for this type of card, but it can help you to establish a positive payment history. If you're looking to bounce back quickly from Chapter 7 bankruptcy, you might be considering hiring a credit repair company. The Federal Trade Commission warns that many of these companies engage in practices that are designed to defraud consumers. In some cases, the tactics these companies use may actually make your credit worse. The FTC recommends thoroughly investigating any company offering credit repair services to avoid falling victim to a scam.